Do not teach your child to write their name using only capital letters ! I cannot stress this point strongly enough.There is not doubt that the straight lines of Capital Letters make them easier to write. Sure, your child would learn to write their name quickly, but not correctly. In the long run teaching only capital letters it is counterproductive and confusing. Your child will have to re-learn how to write their name correctly when he/she starts school. Imagine how difficult it would be to break or alter how you write your own name when it has become second nature to them. Learning to write it again often proves frustrating and upsetting at a time of already huge upheaval in their lives. I have taught Senior Infants (5-6year olds) for the last few years. Many children in my class still can’t break the Capital Letter habit even after 2years in school! . 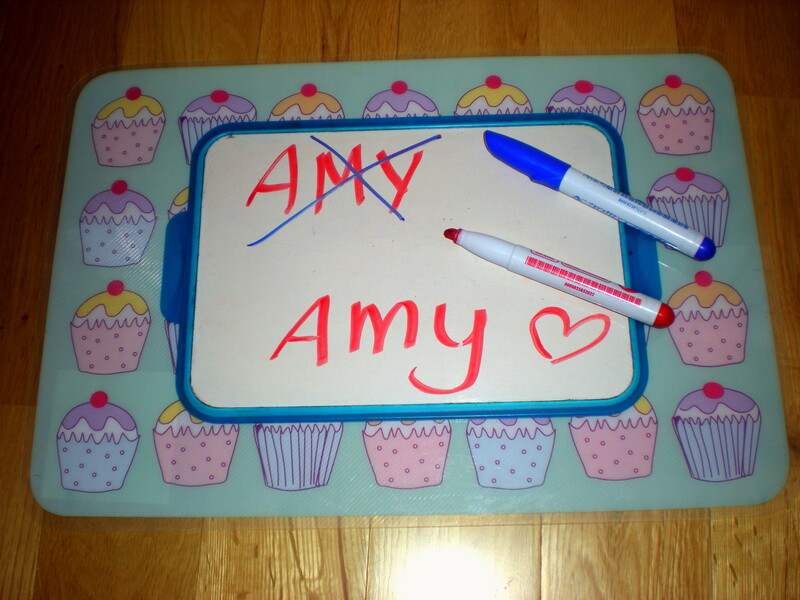 Teaching your child to read and write their name before starting school is hugely important. It allows them to recognize where to store their belongings, where to sit, where to hang their coat and gives them the independence to label their work without the help of their teacher. If you help your toddler to develop their hand and wrist muscles they will have no difficulty forming the curves of lowercase letters. Over the coming weeks I will be posting blogs on how to teach children to write their letters for the first time and photos of games to make their hands ready for such and important task :).